Why Am I Joyfully Lutheran? With so many issue swirling about and what seems to be a constant stream of negative stories about culture and society, Why Am I Joyfully Lutheran? 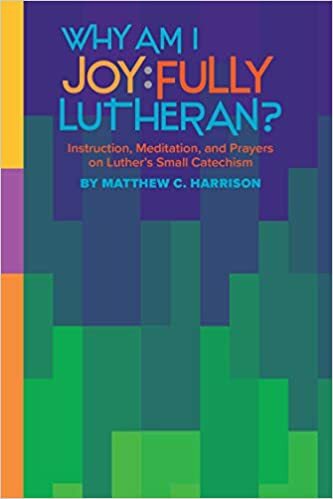 is a bold challenge and encouragement for Lutheran laypersons to engage joyfully in being Lutheran wherever and whenever God gives them the opportunity. Addressing specific significant cultural issues such as human sexuality, gender identity, human life issues, etc., adult Lutherans will be interested to learn how the Lutheran confession of Christianity addresses a range of contemporary topics.